To ensure that all the software interdependencies work, it’s best to start with a clean installation. 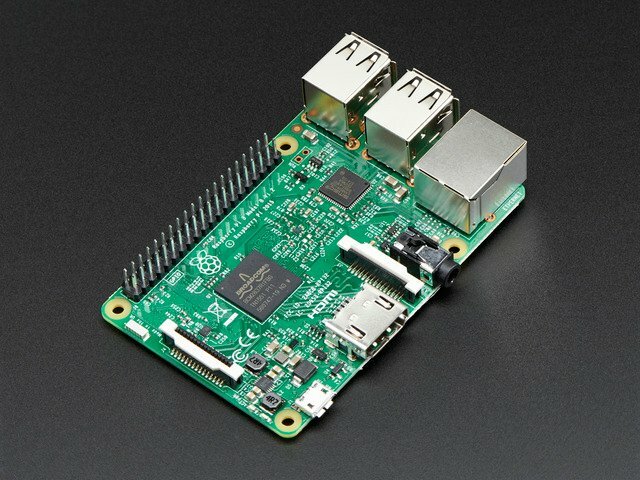 Format a 4GB or larger SD card and load it up with the Raspbian operating system. 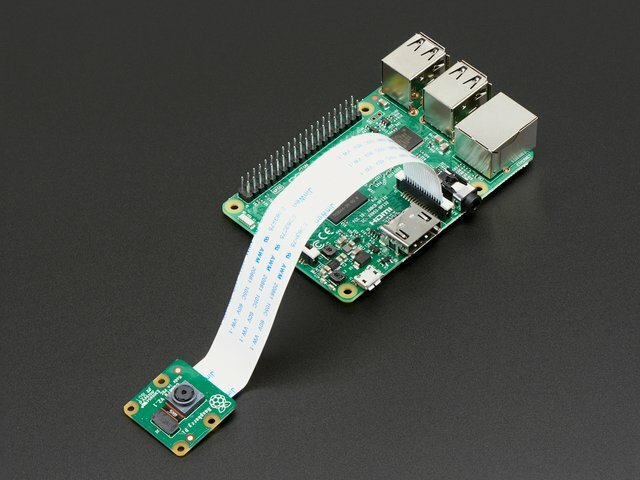 This guide explains how to prepare a card for the Raspberry Pi. 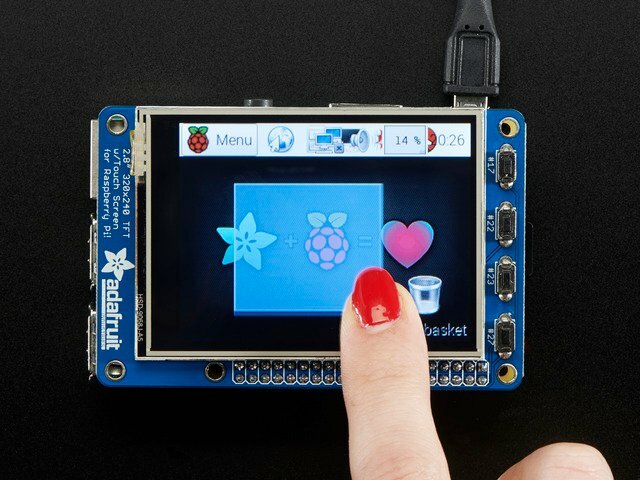 The Raspbian “Lite” edition is recommended for this project. 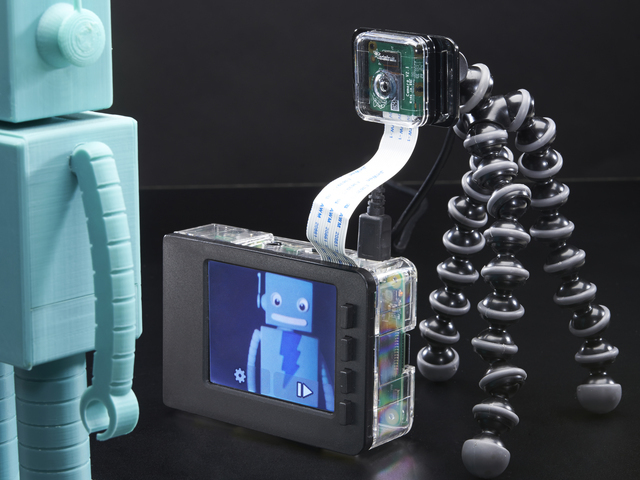 With the Raspberry Pi powered off, install the Pi camera with its ribbon connector, install the PiTFT display atop the GPIO header, connect an HDMI monitor and USB keyboard and go through the normal first-boot procedure. Under Internationalization Options, change the keyboard layout to match your region. If your keyboard is producing unexpected characters, this is usually the reason why. Also in International, if planning to use wireless networking, change the WiFi country setting for your location. Then you can go back to the main menu and Network Options to set up a WiFi connection. Under Interfacing Options, enable SSH if you’d prefer to log in remotely and finish the system configuration over a network. Other settings can be configured to your liking. Overclock. 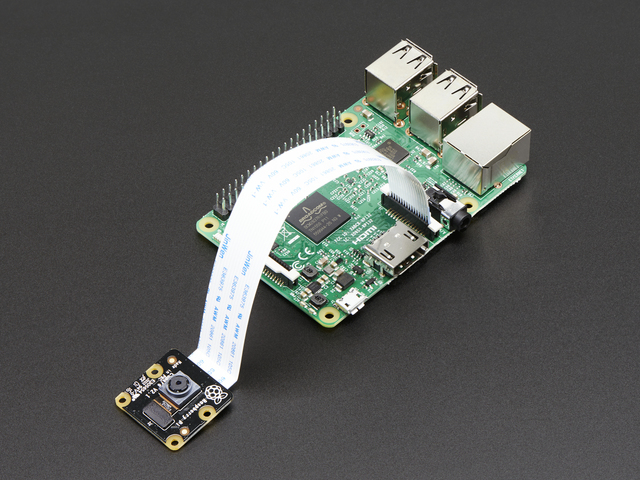 This is a portable, battery-operated project and an overclocked Pi will draw more current. Overclocked systems don’t always play well with the PiTFT and are more likely to corrupt the SD card filesystem. Do not enable this option. Even if you don’t plan to use the Dropbox functionality of this project, it’s necessary to get the Raspberry Pi on your network at least temporarily to download additional software. This can be done using the wired Ethernet jack (no additional configuration needed), or over WiFi using either a USB WiFi adapter or the Pi 3’s built-in wireless networking. If raspi-config doesn’t handle the options you need, this guide may be helpful for setting that up. Do not continue until the Pi is successfully on the network. You can log in and try “ping adafruit.com” from the command-line to test. When running the PiTFT installer script, select the #1 configuration option: “PiTFT 2.4", 2.8" or 3.2" resistive (240x320)”. This project can work with any of the resistive touch 320x240 PiTFT displays. It will not work with capacitive displays or the 3.5" PiTFT. For rotation, select the #1 option: “90 degrees (landscape)”. 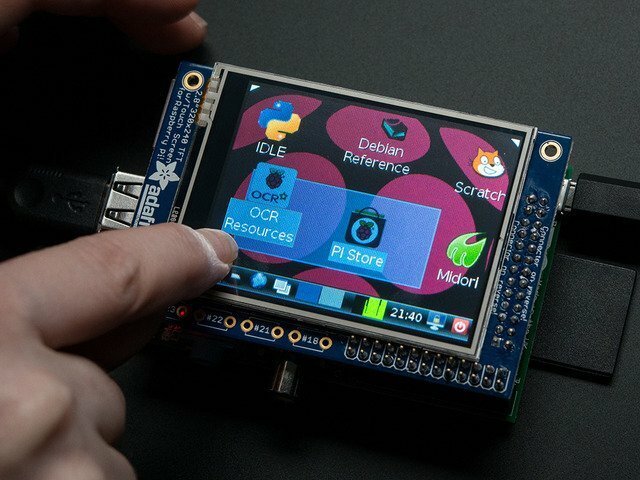 This covers most situations, but if you find the screen is oriented 180° from what you need, just re-run the adafruit-pitft.sh script and select the #3 option instead (“270 degrees (landscape)”). You do not need to re-run the camera installer script we’ll show later, just the PiTFT installer. When asked about having the text console on the PiTFT, answer “y”. Then reboot when prompted. Make sure you've got the Raspberry Pi booting with the Text Console mode display on the PiTFT before you continue. You'll need to have that PiTFT stuff all working! The script explains what it’s about to do and prompts for a “Y” before continuing; any other input will cancel. It may take 10 minutes or so to run. Afterward, you’ll be prompted to reboot the system again. If this all works, skip ahead to the “Testing” section below! Used the “Easy Install” route? Skip ahead to “Testing” below! If you used the “Easy Install” directions above, you can ignore this section and skip ahead to “Testing” below. The file /boot/config.txt is modified to enable the camera (if not already active via raspi-config) and also boost the speed of the PiTFT display (changing the “speed” and “fps” values). These lines are usually at the bottom of the file. These lines are added to /etc/rc.local — the second is intentionally commented out by default. It’s a good idea to test the camera software manually before throwing the switch. These are inserted just before the final “exit 0” line that’s normally present. If all goes well, after a few seconds’ initialization you should see a live viewfinder preview on the screen, as well as two onscreen buttons. If this doesn’t happen, an error message should give some sort of troubleshooting guidance; missing library or driver, etc. There’s still some work to be done if we want to use Dropbox, so quit the camera program for the time being…tap the gear icon (settings), the left arrow and then the confirmation button. You’ll be back at the command line now. If you use the Easy Install script, the following line is already present, but commented out. Delete the initial “#” character on the line, save changes and reboot. Next time you reboot you should see the text console for a few seconds and then it will start the cam.py software. This guide was first published on Jan 14, 2014. It was last updated on Jan 14, 2014. This page (Pi Setup) was last updated on Apr 17, 2019.